Laws are constantly changing for many aspects in many states. This is the case for workers’ compensation laws, as well, which had major reforms for the 2015 years. What are some of these reforms and things you should be aware of? SB 863 increased permanent disability (PD) benefits approximately 30% in two steps. Before, the minimum weekly benefit was only $130 and the maximum was $270. After January 1, 2013, the n5tew maximum weekly PD rate ranges from $230 to $290 depending on the PD rating. After January 1, 2014, the maximum weekly PD rate is $290. The Return-to-Work Supplemental benefits are in effect and being disbursed. More than 12 sets of regulations were enacted to implement SB 863. The change in the Ambulatory Surgical Centers (ASC) fee schedule generates approximately $30 million in annual industry savings. It has been announced that there was a 3.3% reduction is medical costs for 2014. You may wonder what the Return-to-Work Supplement Program is that has been mentioned previously as being in effect. This is one of the many components of Senate Bill 863. Labor Code section 139.48. It requires the Director to administer a $120 million fund for the purpose of making supplemental payments to workers whose permanent disability benefits are low in comparison to earning losses. To be eligible, however, an applicant must have a date of injury on or after January 1, 2013 and received a voucher for that injury. Outcome-based networks have been developed for many larger employers for workers’ compensation and group health reasons. Workers, in turn, have been receiving the best medical care and tying compensation to outcomes. Employers are beginning to recognize the importance of mental health as well as other wellness regards. There is definitely more importance of managing health both physically and mentally. More employers are realizing a bigger importance of managing all disability and not just that which is associated with workers’ compensation claims. Medicare Secondary Payer Compliance has returned. There is also a trend of lawsuits that have been filed against non-compliant companies that are intentionally keeping Medicare secondary payer regulations away from those that need to understand them. It was also researched and found that the National Council on Compensation Insurance says that, in 2014 alone, workers’ compensation ratios were below 100% for the first time since 2006. If you hope to receive workers’ compensation benefits, you may know that you can negotiate settlements to get the money you deserve. There are many types of disability payments you may receive; however, there are many steps you can take to assure that you will receive your rightful compensation. The laws are always evolving so you should keep up to date with them at all times. Contact a lawyer that you can trust at the RAWA Law Group and get back on track to receive the compensation that you deserve. 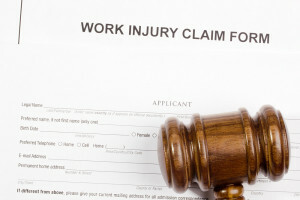 Also find out about more laws regarding workers’ compensation and what you can do.